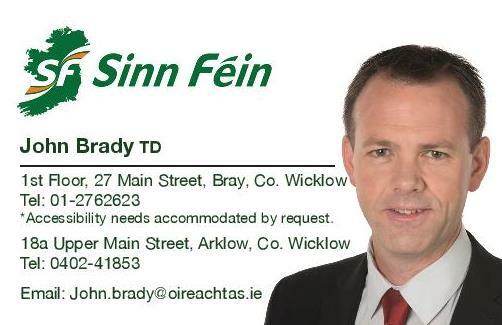 Sinn Féin TD for Wicklow John Brady has welcomed the decision by members of the Seanad to support the Occupied Territories Bill. The Bill, which seeks to ban goods and services from illegal Israeli settlements, will now advance to committee stage. 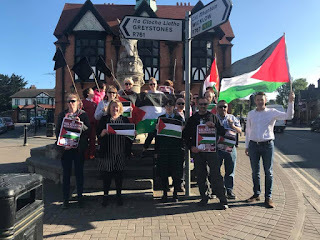 “Yesterday’s vote in the Seanad to support the Occupied Territories Bill was the right thing to ensure that Ireland is on the map as standing against violations of International Law. “This is also a momentous step towards officially banning the import and sale of goods, services and natural resources which come from settlements that exist on illegally occupied land in Palestine. “These goods and services are only available due to war crimes carried out by the Israeli state by completely disregarding the Fourth Geneva Convention. “Palestinian’s are forced from their homes, schools are destroyed and people are displaced on a daily basis to make way for the construction of these settlements. “We can’t stand idly by and ignore this abuse of human rights. The Irish people have a proud history of standing against apartheid and occupation. This vote is a crucial step towards enshrining this in law.